Discover some amazing animals and how they adapt to winter with this gorgeously illustrated book that reveals nature’s wintertime secrets. 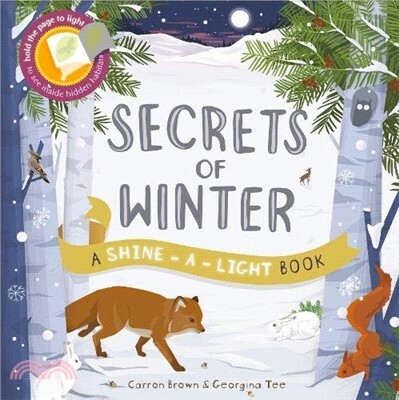 By simply holding the book up to the light, or shining a light behind each page, young children will be able to discover the animals and plants that live in and around a snow-covered forest. From the bears in their lairs and the foxes in their dens, to the squirrels and birds in the treetops. The innovative, see-through, feature fulfills a similar function to lift-the-flaps books, but has the added interactive dimension of the child being able to see both the surface and the hidden picture at the same time.